King Francis I of France had a preference for Italian artists working in the mannerist style, and attracted many to work in his court. These artists became known as the School of Fontainebleu. 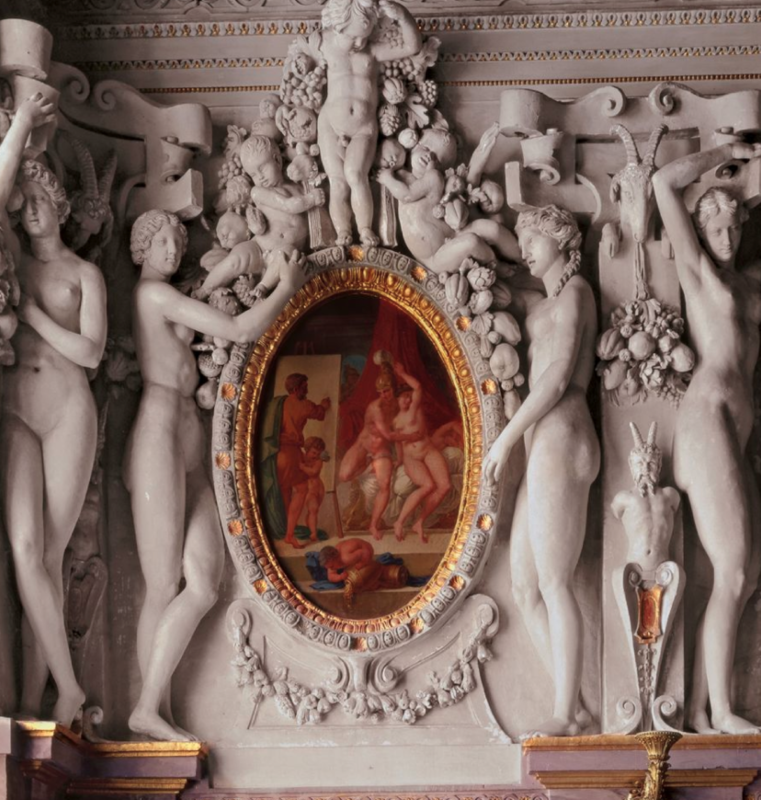 This work show the new style of framing fresco paintings with stucco sculpture. The elongated features remind the viewer of the work of Parmigiannino.